Promote the operation, restoration and preservation of ex-Military Land Rovers, and the interest in them. Support this aim by promoting events and shows, attending established vehicle shows, and by organising Association meetings for members to socialise and display their vehicles. 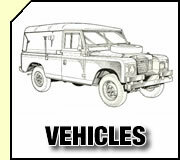 Provide members with information, advice and assistance concerning ex-Military Land Rovers. Encourage research and accumulation of documents, photographs and other relevant material by the Association. Afford members such benefits and privileges as it may be possible. Operate a club merchandising service for the supply of badges, books, promotional clothing and other items for the benefit of members. Ownership of a military Land Rover is not a condition of membership and many members are unable or unwilling to attend shows. There is a bi-monthly Newsletter to inform members of show dates and other events, and publishes a range of articles relating to the history and ownership of these vehicles. 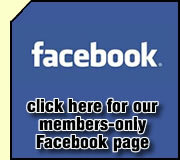 Members also have full access to the EMLRA Forum and EMLRA FaceBook group. 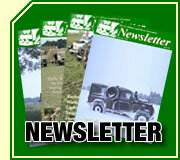 So, if you have an interest in ex-military Land Rovers, we would welcome you as a member of the Association. 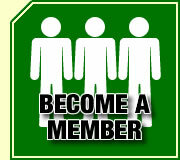 For more details on how to join visit our Membership page. 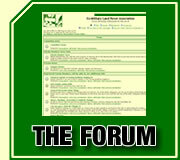 The EMLRA Forum has always been free, you don't have to be in the EMLRA to join it.